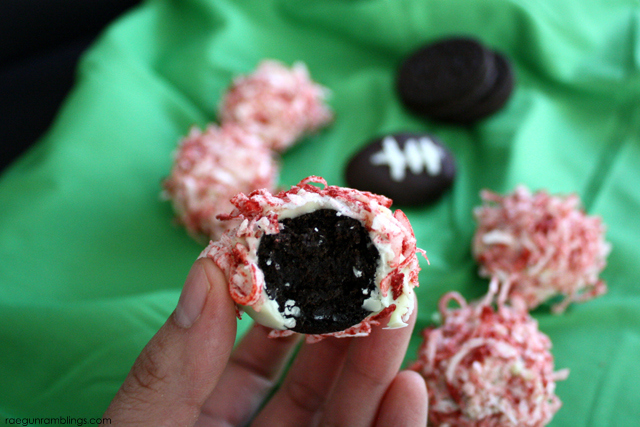 Have you ever made OREO cookie balls before? They are so easy and yummy. 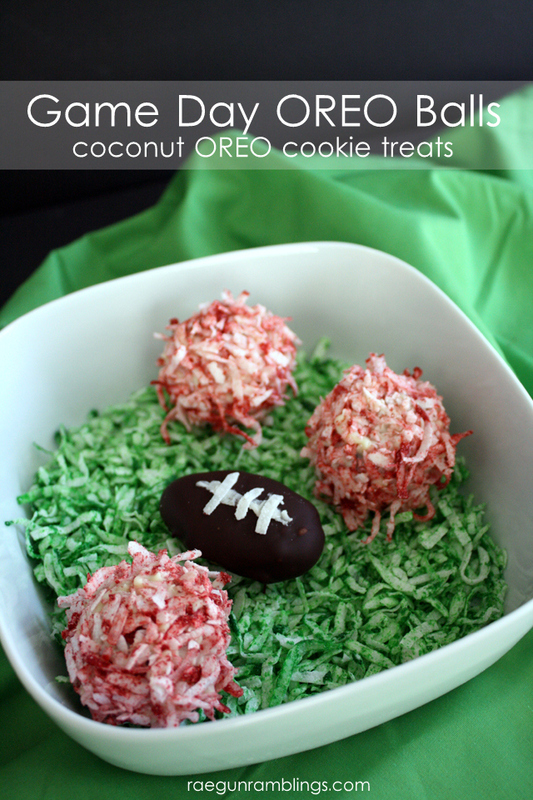 I put a spin on them and have some speedy coconut OREO treats to share today. I love them because they look super fancy and sharp no one will ever guess how stinking simple they are to make. I made a few different kinds. Since they are so easy it’s really simple to customize them for any occasion. I made a fancy (but oh so easy) version perfect for everyday or special events like say Valentine’s Day. And I also made a sporty batch with edible pom poms that you can make match your team colors as well as a fun little football. Perfect for the big game right?! CUSTOMIZE it with coconut. 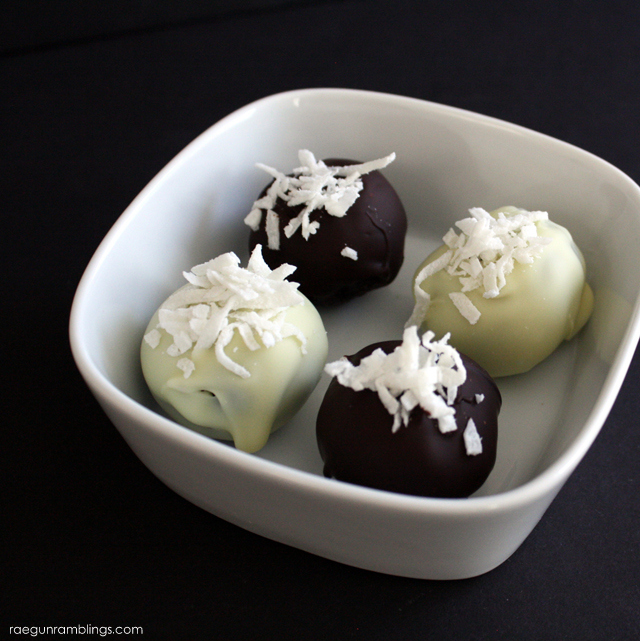 You can color the coconut with food coloring and coat the balls while the chocolate is still wet or just add a pinch to the top! Super easy. And if you want to make a football one just remember to shape it more football-ish instead of a round ball and after the chocolate coat sets you can draw lines on with white chocolate or do what I did and draw one long line and lay rows of coconut strips for the cross lines. Ummm.. Yes Please!! Those look AMAZING! These sound absolutely amazing! I love Oreo balls! 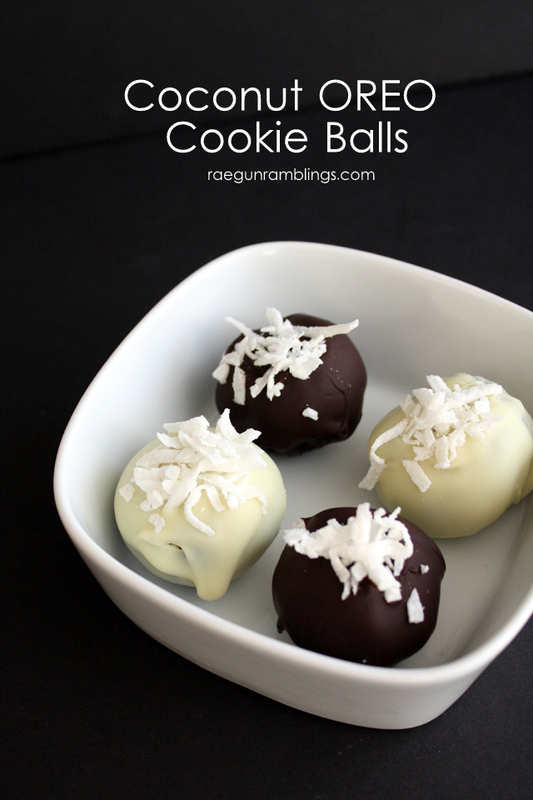 i bet these would be even better if you added some coconut to the cookie and cream cheese mixture…gonna try it!!! Hi, when making the cookie balls do you add to Oreo cookie filling to the cookie crumb, cream cheese mixture? Yes I just smush up the whole cookie!